Genius (plural genii or geniuses, adjective ingenious) is a term referring to a person, a body of work, a singular achievement of surpassing excellence, or an essential quality of such things. More than just originality, creativity, or intelligence, genius is associated with achievement of insight which has transformational power. A work of genius fundamentally alters the expectations of its audience. In Ancient Rome, the genius was the guiding or "tutelary" spirit of a person, or even of an entire gens. 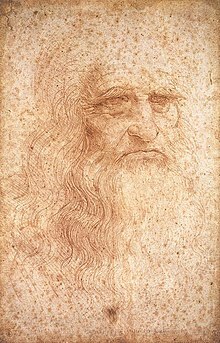 Those individuals who are labeled as geniuses or endowed with genius successfully apply previously unknown techniques in the production of a work of art, science or calculation, or master and personalize known techniques. A genius typically possesses great intelligence or remarkable abilities in a specific subject, or shows an exceptional natural capacity of intellect or ability, especially in the production of creative and original work, something that has never been seen or evaluated previously. We may say that there are two outstanding human types, one the saint and the other the genius. Religion has tended to recognise only the first of these and to look askance at the other. ... If we accept genius as a form of God's self-expression equally with holiness, we must go on to question the assumption that humility is the basic virtue. God thinks in the geniuses, dreams in the poets, and sleeps in the other people. The greatest thing by far is to have a command of metaphor. This alone cannot be imparted by another; it is the mark of genius, for to make good metaphors implies an eye for resemblances. Nullum magnum ingenium sine mixtura dementia. Aristotle. Quoted by Burton, Anatomy of Melancholy. Attributed to Aristotle also by Seneca the Younger, Problem. 30. Doing easily what others find it difficult is talent; doing what is impossible for talent is genius. Genius is nothing but youth recaptured. Variant: There is this difference between genius and common sense in a fox: Common sense is governed by circumstances, but circumstances is governed by genius. Variant: Genius is the faculty of doing a thing that nobody supposed could be done at all. Genius after all ain't ennything more than elegant kommon sense. Variant: Genius ain't anything more than elegant common sense. Tallent must hav memory, genius don't require it. Variant: Talent must have memory; genius don't require it. Genius learns from nature; talent from books. The truth is, that necessity prompts invention, and genius is common to every age. The early poet, therefore, of superior powers, can operate on external nature, as well as on the polity and manners of his nation, with preeminent elegance and splendor. When the division of labor takes place, the modern poet, particularly in the comic walks of life, is capable of displaying a greater variety of character than the ancient. Hence Shakespeare and Congreve are infinitely superior to Plautus and Terence in rich variety of comic painting. Variant: Le Génie, c'est la patience. 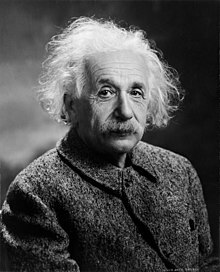 "Genius" (which means transcendent capacity of taking trouble, first of all). The genius stands to the ordinary person as a Buddhist or Hindu jivanmukta (enlightened soul) stands to a jiva (mere soul). He is freed of animal desires, rather than chained to them. He is a passive observer who dwells in an eternal present, rather than an active participant in life driven by regrets about the past and hopes for the future. The man of génie is he whose ranging soul occupies itself with all that is in nature, receiving from her no idea that is not roused by his distinctive play of emotion. All is brought to life, turned to account; nothing is lost, nothing wasted.... He casts upon nature an eye gifted for the comprehension of abysses.... As for his constructs, they are too audacious for ordinary reason to inhabit.... In the arts as in the sciences … the genius seems to change the very nature of things; his character envelops whatever it touches; he casts into the future his piercing lights; he leaps ahead of his century, and it is powerless to follow him. He leaves behind those intellects which seek, even rightly, as may be, to criticize — poor lockstepped minds which leave nature as they found it. Behold him they may but are powerless to know him. For the genius alone may tell us truly who and what he is. To think, and to feel, constitute the two grand divisions of men of genius — the men of reasoning and the men of imagination. Every work of Genius is tinctured by the feelings, and often originates in the events of times. But genius must be born, and never can be taught. The continuous capacity of genius to surpass understanding remains a human constant. Talent finds its models, methods, and ends, in society, exists for exhibition, and goes to the soul only for power to work. Genius is its own end, and draws its means and the style of its architecture from within. Seduced me first to be a wicked player. A difficult journey to a splendid tomb. Genius is the power of lighting one's own fire. I've come to believe that genius is an exceedingly common human quality, probably natural to most of us. Das erste und letzte, was vom Genie gefordert wird, ist Wahrheits-Liebe. Genius resembles a bell; in order to ring it must be suspended into pure air, and when a foreign body touches it, its joyful tone is silenced. Perhaps, moreover, he whose genius appears deepest and truest excels his fellows in nothing save the knack of expression; he throws out occasionally a lucky hint at truths of which every human soul is profoundly though unutterably conscious. Ellice Hopkins, Work amongst Working Men, in Notes and Queries (13 September 1879), p. 213, a correspondent, H. P. states that he was the first to use the exact phrase, "Genius is the capacity for taking pains." Inculto latet sub hoc corpore. Yet a mighty genius lies hid under this rough exterior. We declare to you that the earth has exhausted its contingent of master-spirits. Now for decadence and general closing. We must make up our minds to it. We shall have no more men of genius. The genuinely extraordinary person is the genuine ordinary person. The more of the universally human an individual can actualize in his life, the more extraordinary a human being he is. The less of the universal he can assimilate, the more imperfect he is. It is true that he may then be an extraordinary person, but not in the good sense. The genius is an omnipotent Ansich [in-itslef] which as such would rock the whole world. For the sake of order, another figure appears along with him, namely, fate. Fate is nothing. It is the genius himself who discovers it, and the more profound the genius, the more profoundly he discovers fate, because that figure is merely the anticipation of providence. Such as contribute most to human progress and human enlightenment — men like Gutenberg, Copernicus, Newton, Leibnitz, Watts, Franklin, Mendeleieff, Pasteur, Sklodowska-Curie, Edison, Steinmetz, Loeb, Dewey, Keyser, Whitehead, Russell, Poincaré, William Benjamin Smith, Gibbs, Einstein, and many others — consume no more bread than the simplest of their fellow mortals. Indeed such men are often in want. How many a genius has perished inarticulate because unable to stand the strain of social conditions where animal standards prevail and "survival of the fittest" means, not survival of the "fittest in time-binding capacity," but survival of the strongest in ruthlessness and guile — in space-binding competition! Intelligence is to genius as the whole is in proportion to its part. Did we not know this world to be but a place of trial — our bitter probation for another and for a better — how strange in its severity would seem the lot of genius in a woman. The keen feeling — the generous enthusiasm — the lofty aspiration — and the delicate perception — are given but to make the possessor unfitted for her actual position. The life of the most successful writer has rarely been other than of toil and privation; and here I cannot but notice a singularly absurd "popular fancy," that genius and industry are incompatible. The one is inherent in the other. A mind so constituted has a restlessness in its powers, which forces them into activity. Into transparent crystal, bright and clear. There is no work of genius which has not been the delight of mankind, no word of genius to which the human heart and soul have not, sooner or later, responded. Talent is that which is in a man's power! genius is that in whose power a man is. Claudicat ingenium delirat linguaque mensque. When the body is assailed by the strong force of time and the limbs weaken from exhausted force, genius breaks down, and mind and speech fail. Das "Genie" ist die sublimste Maschine, die es gibt,—folglich die zerbrechlichste. "Genius" is the sublimest machine in existence—hence the most fragile. I don't mean to suggest... that he is a man who is without controversy. He speaks his mind. Sometimes he has rivals who disagree with him; sometimes they are right, and he is the first to admit that sometimes he might be wrong. But the greatness of the American military service, and particularly the greatness of the Navy, is symbolized in this ceremony today, because this man, who is controversial, this man, who comes up with unorthodox ideas, did not become submerged by the bureaucracy, because once genius is submerged by bureaucracy, a nation is doomed to mediocrity. George S. Patton, War As I Knew It (1947), "Reflections and Suggestions"
Ingenio stat sine morte decus. The honors of genius are eternal. Eleanor Farjeon’s world is construed of fantasy, romance, and an abounding yea-saying joy in the experience of life. It is the stuff that dreams are made of, and as dangerous as dynamite except for those who have genius in their blood, a compassionate heart, a sense of wonder at the multitudinous miracles to be met in one day’s living in this world, and the blessed proportion of wit, humor and nonsense. All these she has. Fett, als das Licht des Lebens. Nullum sæculum magnis ingeniis clausum est. No age is shut against great genius. Mark Antony's was by Cæsar. Vivitur ingenio; cætera mortis erunt. Genius inspires this thirst for fame: there is no blessing undesired by those to whom Heaven gave the means of winning it. Genius is a capacity for taking trouble. Genius can never despise labour. Thousands of geniuses live and die undiscovered — either by themselves or by others. But for the Civil War, Lincoln and Grant and Sherman and Sheridan would not have been discovered, nor have risen into notice. The presiding genius of the place. Genius is an intuitive talent for labor. So far as one understands a man, one is that man. The man of genius takes his place in the above argument as he who understands incomparably more other beings than the average man. Goethe is said to have said of himself that there was no vice or crime of which he could not trace the tendency in himself, and that at some period of his life he could not have understood fully. The genius, therefore, is a more complicated, more richly endowed, more varied man; and a man is the closer to being a genius the more men he has in his personality, and the more really and strongly he has these others within him. If it really were the case, as popular opinion has tried to establish, that the genius were separated from ordinary men by a thick wall through which no sound could penetrate, then all understanding of the efforts of genius would be denied to ordinary men, and their works would fail to make any impression on them. All hopes of progress depend on this being untrue. And it is untrue. The difference between men of genius and the others is quantitative not qualitative, of degree not of kind. Man könnte sagen: „Genie ist Mut im Talent. Das Genie hat nicht mehr Licht als ein andrer, rechtschaffener Mensch—aber es sammelt dies Leicht durch eine bestimmte Art von Linse in einen Brennpunkt. There is no more light in a genius than in any other honest man—but he has a particular kind of lens to concentrate this light into a burning point. Learning we thank, Genius we revere: That gives us pleasure, This gives us rapture; That informs, This inspires; and is itself inspired; for genius is from heaven, learning from man.